Star Stable games are perfect for girls aged 7 to 17 who love horses and who are looking for online adventures. These safe and positive virtual worlds host 17 levels that even non-gamers would enjoy. This horse stable game is perfect for your children. Here’s a quick recap about what you can expect if you purchase this toy. Ok, you know I’m a gamer. I love it, and my kids do, too. My husband…well, that’s a whole other post. I love all types of games, but my heart has and is with role-playing games. Natalie loves gaming, too, and she LOVES animals…like crazy. She’s also getting to the point where she needs a real challenge in here games…the quick hit, easy games are fine, but they lose steam quickly. Does your child like video games? Horses? Engaging with other players online? Adventure? Enter the amazing Star Stable. Star Stable is an online horse game where players from around the globe explore a magical world on horseback. 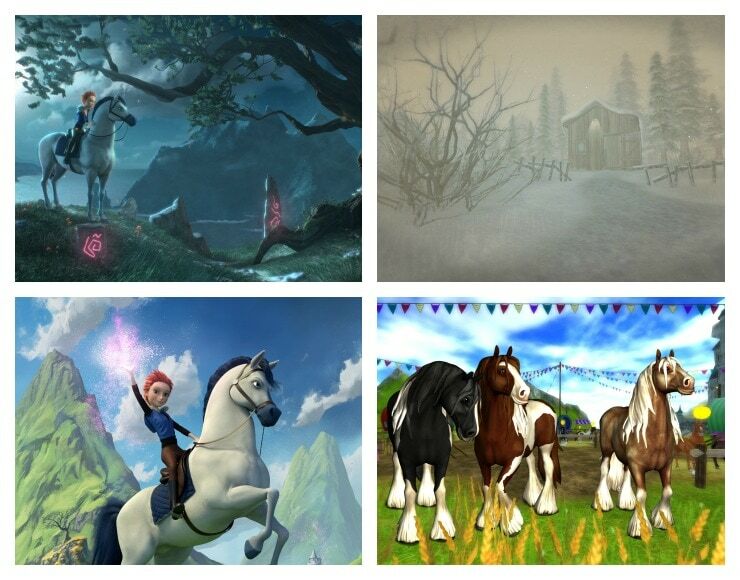 Every player rides, cares for their horse, solves quests, participates in competitions, and takes part in the ever-evolving Star Stable storyline with new features, plots and twists added each week. Star Stable is an MMORPG (massively multiplayer online role-playing games) for PC/Mac that is designed for girls ages 7-17 that promotes fun, creativity, engagement in a safe and positive virtual world. In other words…it’s amazeballs. I mean, there’s more than 17 levels with really cute graphics that even a non-gamer would love. The site and the game is Star Stable offers a safe online experience for players. With more than 5 million registered users, Star Stable is played in over 180 countries (11 different languages), and has become one of the most popular online adventure games for girls today. Players begin their Horse Stable games by creating their own rider (unique attributes and accessories) and designing their own horse (breed and equipment). 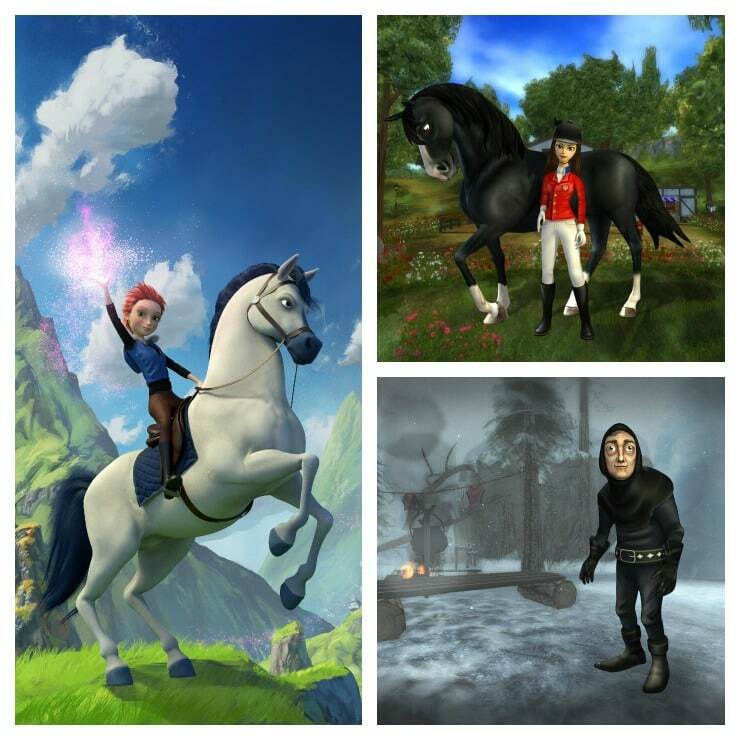 The rider and horse are partners and together solve quests, participate in competitions and take part in the epic story set in the mystical island and home to Star Stable, called Jorvik. Additionally, players can chat with friends, create riding clubs and face challenges with other riders or independently in a world that is constantly growing and expanding. Completely ad-free, Star Stable is updated each week with new features, new challenges, new twists and turns to the storyline, and of course, new horses and characters. Additionally, Star Stable hosts weekly events, where players come to socialize and hangout, including a Friday Disco with occasional celebrity appearances. Star Stable is a world that never sleeps and offers the first true multi-player online experience for players that love horses, mysteries, adventure, fun and making new friends all over the world. The first five levels of Star Stable are free to play. Players who want access to the complete game experience can become Star Riders with a paid subscription, which gives them access to the entire world of Star Stable’s mystical lands, features, shops and evolving stories. Star Riders also receive a weekly allowance of 100 Star Coins to spend or save for stylish clothes, accessories or equine equipment. Star Stable games works on Mac or PC and can be used with any internet browser. Girls will also be able to enjoy Star Stable on their mobile devices, as two new apps (iOS and Android) will be released in the summer of 2015!!! We will be downloading that…for sure!! !